2 purple Hydrangea plants (I found mine at Trader Joe's) 2 stems cut 6.5 inches, the rest of the stems cut to include first leaves. 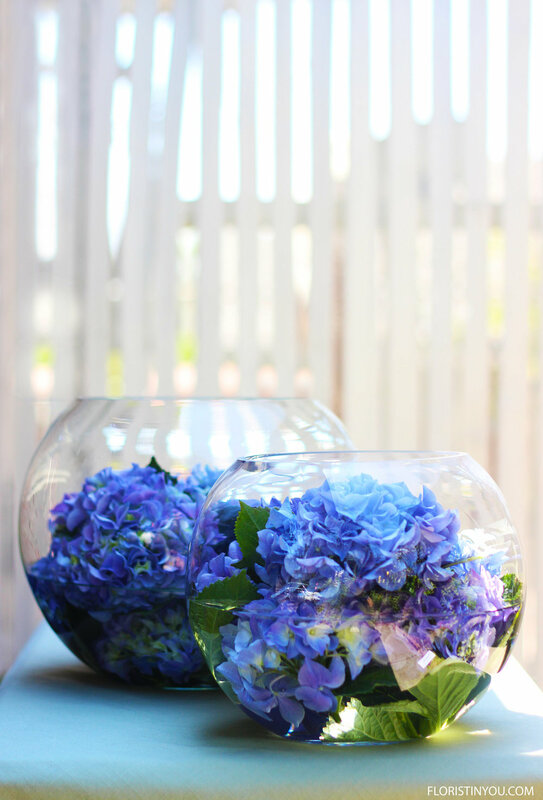 This contemporary arrangement uses two stacked bubble bowls. The latest rage is for the flowers to be completely inside of the vase. 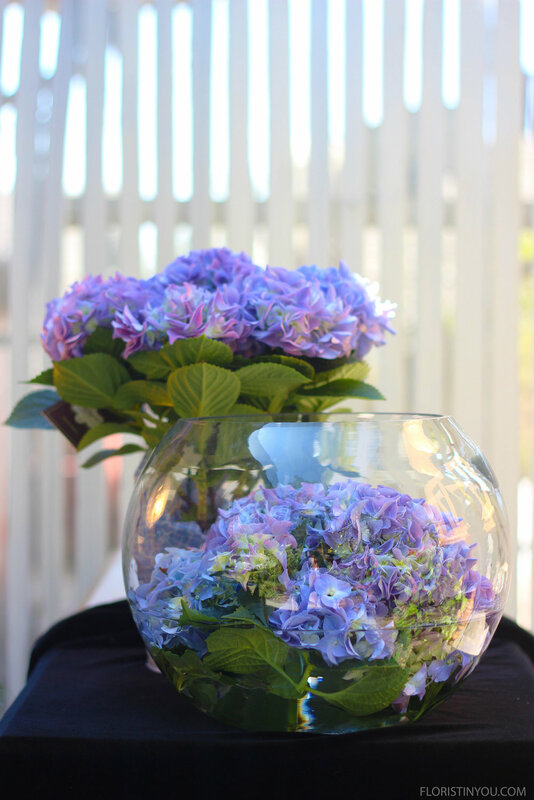 You can make this arrangement with hydrangeas or Calla Lilies because Calla Lily stems are flexible. 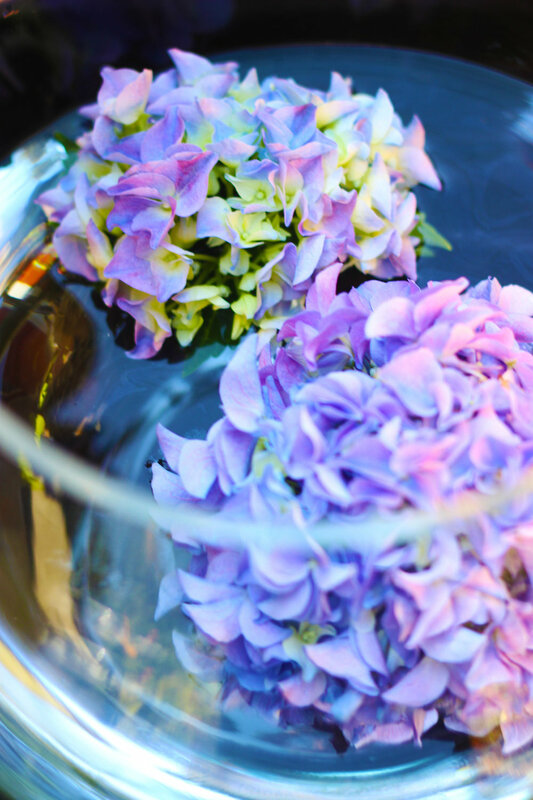 The hydrangea flower can 'drink from it's head' so it is a great flower to float. 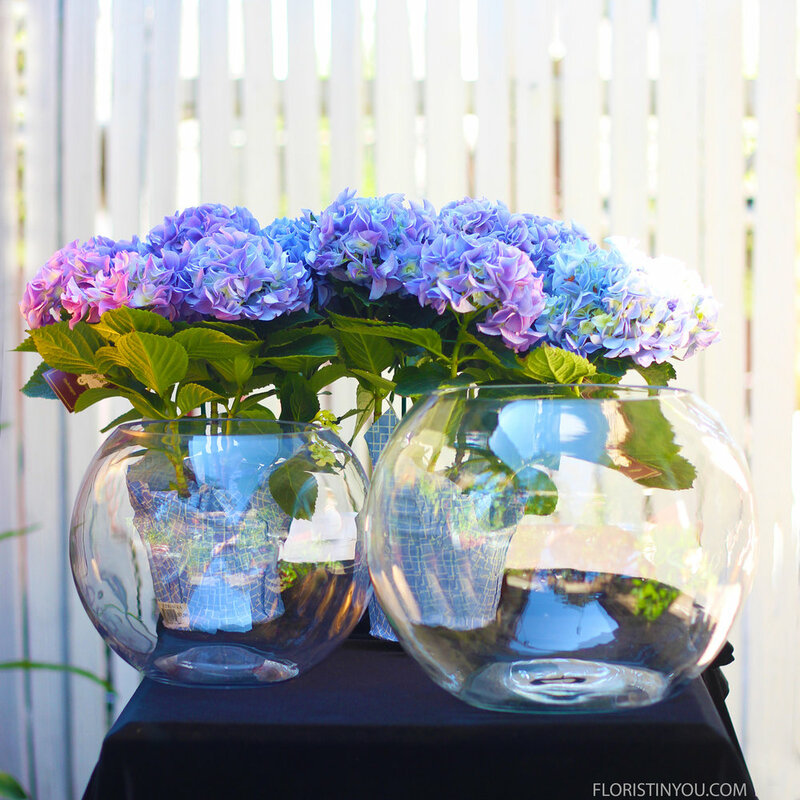 http://www.floristinyou.com/beautiful-centerpieceahhh-peonies https://www.youtube.com/watch?v=0eGJB1E3dqs Once you have your flowers and your bubble bowls it is simple. Let's begin. This is all you need for this arrangement. 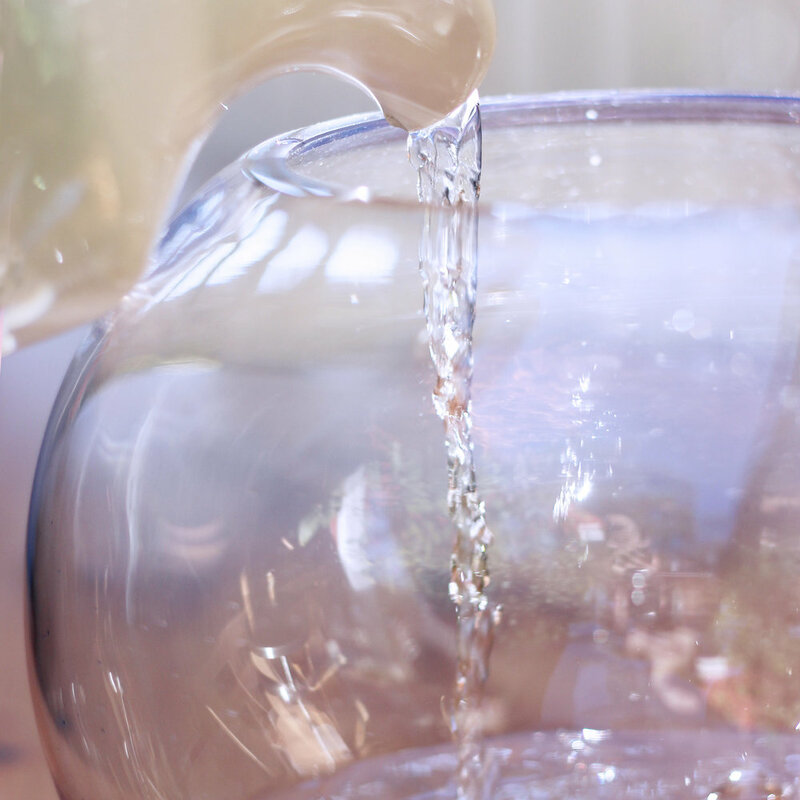 Fill your bowls 1/3 full of water. Cut a large blooms at 6.5 inches to go in center of each bowl. 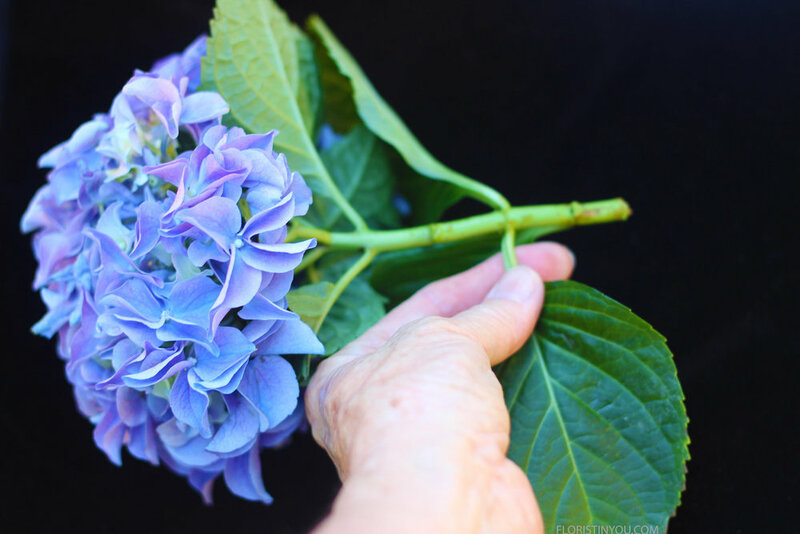 Cut rest of blooms to include the first leaves. Place blooms in bowl. Place 6.5 inch bloom last in the center. You are done with the lower bowl. Put 8 inch bowl on top of the larger bowl. Repeat the process. The stacked bowls look really cool as they nest inside each other. Alternately, they would also look nice next to each other on the table. 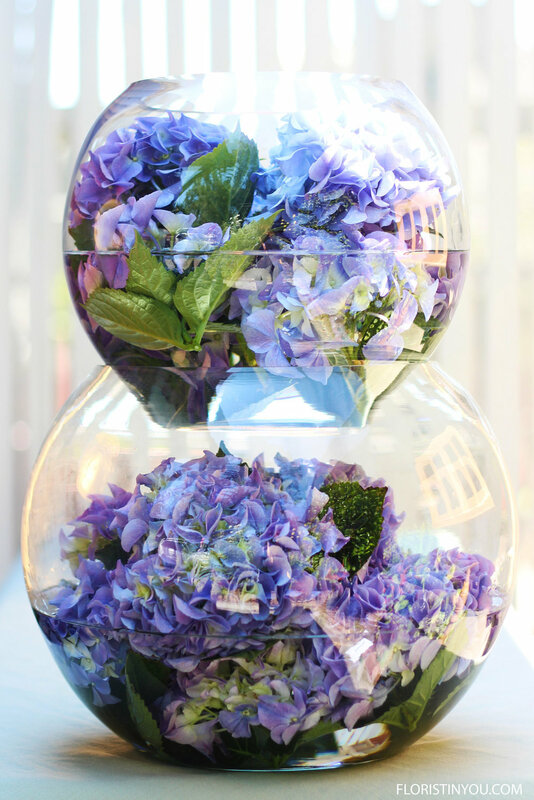 The hydrangeas look beautiful floating in the water. You are done. The arrangement almost seems like an optical illusion. Enjoy!